RSVP to reserve your seat. Seating is limited. 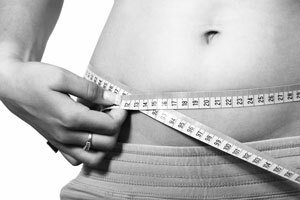 Lecture on Detox and Weight Loss: Can Acupuncture Really Help You Lose Weight? Obesity remains a top concern among health professionals in the U.S. According to a study published in the Journal of American Medicine (JAMA), more than one third of adults in the U.S. are clinically obese (source). People who fall under this category are more likely to develop heart disease, diabetes, and even certain types of cancer. While there’s no substitution for exercise and a well-balanced diet, the ancient Chinese practice of acupuncture may promote weight loss in adults battling obesity. Numerous studies have reinforced the belief that acupuncture can aid in weight loss. So instead of embarking on a potentially dangerous “fad” diet, such as an all-liquid lemon detox diet, consider acupuncture treatment to assist in your weight loss efforts. John and Jenny Nieters at Alameda Acupuncture are absolute gems. I have been a patient of John Nieters for many years. He is an amazing healer who has helped me though physical and emotional challenges. Dr. John is generous with his time and extremely knowledgeable. He is the first one whose opinion I seek when my health needs attention. I have been anxious ( in a good way), to submit my testimonial regarding Dr. John and Jenny Nieters of Alameda Acupuncture!!!! THEY ARE FANTABULOUS /that means, fantastic and fabulous !!! I love them dearly. They are just very empathic, humble, very intelligent and down home folks. This website is for information purposes, only. It is not meant to sell anything, or anyone on a particular product, course of action, or way of thinking. By providing information we are not diagnosing, curing, mitigating, treating or preventing any disease. We advise that before embarking on any sort of natural treatment regime to seek the advice of a licensed health professional.